When your future is so bright, you gotta wear shades! 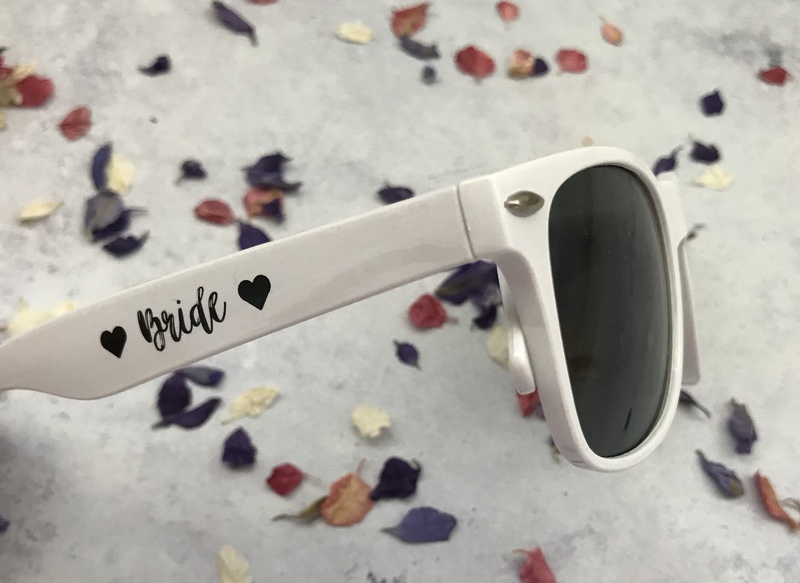 These fabulously fun personalised 'Bride' sunglasses are perfect for a sunshine filled wedding day (or a summer of wedding planning in the garden)! They also make great favours and Blushing Bride Box can personalise whole sets for your entire wedding party, just contact us. You could add these stylishly cool shades to your table place settings, or set up a sunglasses station for guests to help themselves. 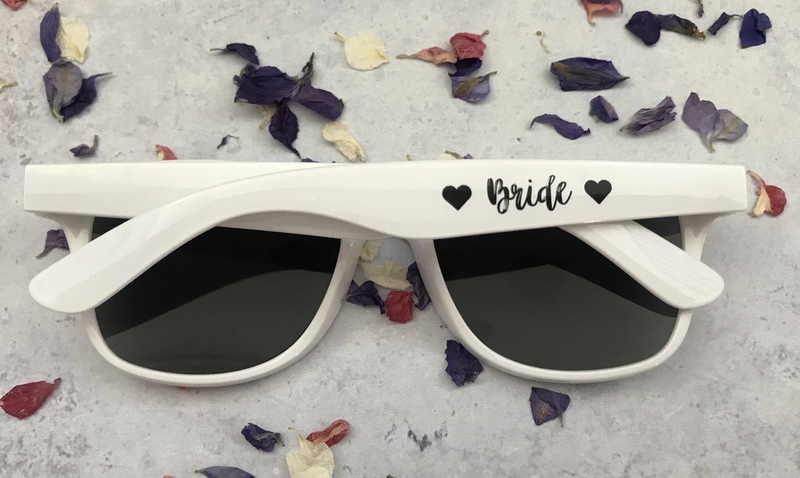 For personalisation, please email us: info@blushingbridebox.com to discuss your requirements.